Buff Review: Does the Buff Headwear Live Up to the Hype? Review of the Buff Headwear original & UV protective versions. The Buff review contains pros and cons and why a Buff a must have for travel, running, hiking and more. You can find the Buff here on Amazon.com. Also, you can get the Buff here on REI. My Buff that I am reviewing here is the UV protective insect resistant version in the ‘Mali Grey’ color. Since it is both insect resistant and UV proof, it was $7 more expensive than the original buff. In terms of size and general characteristics, this UV Insect Shield Buff is identical to the original Buff, except that it has a different pattern and it is UV protective and insect resistant. A Buff is a versatile headwear accessory that can be used as a cap, neck gaiter, and more. Buffs are incredibly useful when traveling since they can be used for multiple purposes. Buffs are basically seamless tubes of polyester microfiber which are stretchy and can be used in both hot and cold climates. The Original Buff and it’s variations come in a ‘One Size Fits All’ size, which is about a 20 inches by 10 inches when laid out flat. Though it is relatively large, the Buff is extremely thin making it lightweight and compact. When traveling in New York City during the winter, I used my UV protective Buff as a neck gaiter and occasionally as a cap to keep my head warm. The Buff replaced the need for me to have both a scarf and a beanie. It also helped to protect me from the wind when the temperature was below freezing. I’ve even found uses for the Buff when running. While running in cold weather, I used the Buff as a face mask to prevent inhaling very cold air. During the summer months, or when traveling to hotter areas, you can use the UV protective feature of some Buffs to protect yourself from UV rays and getting sun burns. Using the Buff as a headband can be used to absorb sweat, as well. 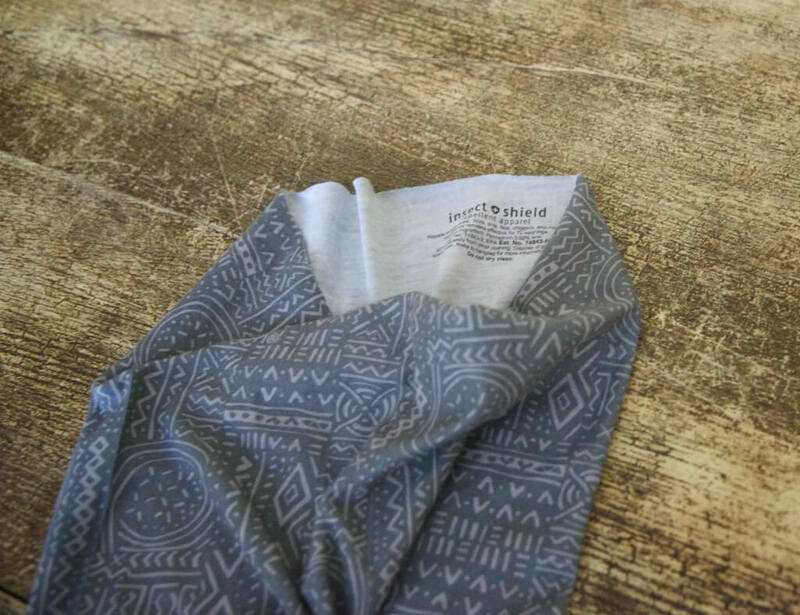 The UV Insect Shield Buff is insect resistant for up to 70 washes and also blocks 95% of UV radiation. When folded, the Buff can easily fit in my fist and weights about as much as a pair of socks. Since it is made of polyester microfiber, it is easy to wash and also dries out quickly. I’ve been using my Buff for around 2 years now – in fact, I actually just bought another one. After two years of using the Buff, I still stand by my earlier claims and statements. I’ve worn it on countless occasions and I’ve thrown it in the washing machine and dryer countless times. One thing I’ll add is that my Buff has pilled a little bit over time, which is annoying but not a huge deal. 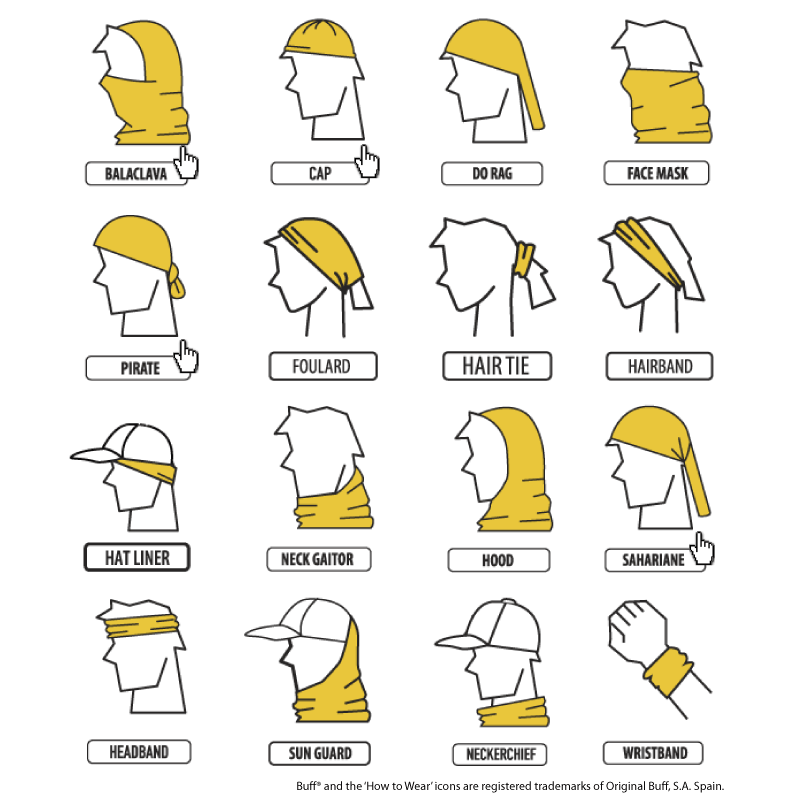 When used as a neck gaiter, the Buff can be a bit loose and constantly sag down and become a like a neckerchief. My Buff is also a bit loose when used in other ways as well. The design of the Buff is only on one side, meaning the inside is just white. This can be annoying when putting the Buff inside out or when I want to fold the Buff over. 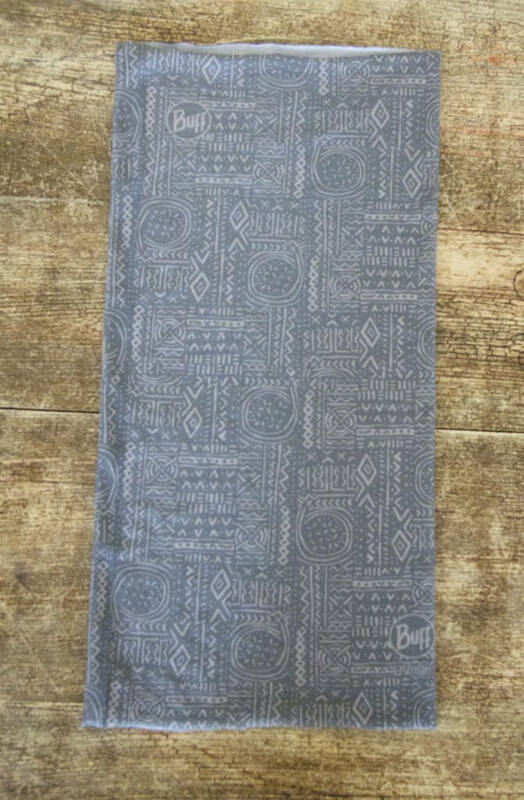 To prevent the Buff from being too loose, the Buff company makes a Slim Fit Buff which is just a thinner Buff for women. Though I’m not a woman, I wouldn’t mind wearing the woman version, but the issue is that the ends of the Buff can get too loose. Making the entire Buff thinner wouldn’t solve the problem as much as making the ends of the Buff tighter would. Currently, the ends of the Buff seem unfinished. Therefore, I would recommend for Buff to make the ends tighter and finish them by possibly folding them over. After using the Buff for over a year, I completely recommend it to any traveler or adventurer looking for versatile headwear. Considering the Buff is simply a thin tubular sheet of microfiber, the price/value of the Buff isn’t great. However, if you’re planning on using your Buff often and for a long time, then the price is pretty justifiable. Most of the Buff versions are generally the same except for some minor changes. For example, the Original Buff is exactly the same as the UV Buff, except without UV protection. The Half Buff is like an original Buff, except half the size and the Wool Buff is a Buff solely for cold weather made of merino wool. I agree! I almost always travel with my Buff since it barely takes up any space and can be used for several purposes. I have a buff already but would you recommend machine washing it? What’s the best way to wash your buff without ruining it? I’d recommend hand washing the buff. That’s probably the gentlest way. The Buff can handle the washing machine and dryer, I’ve done that several times, but to make it last longer, hand washing is better.